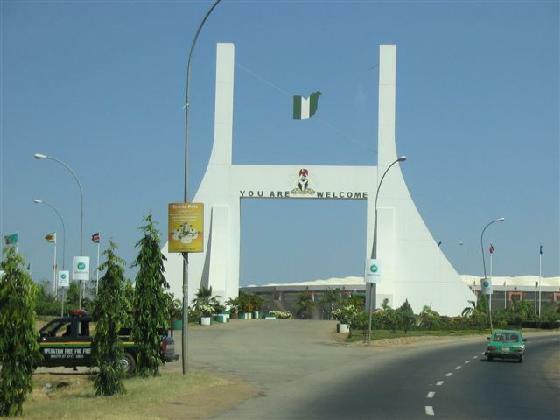 ABUJA, THEIR ABUJA | ItuaLive! I have recently moved to Abuja in somewhat funny circumstances. It has to be about right? Perhaps, but the truth is more fantastic, there’s the money but I could point you in the right direction. I don’t remember much from the movie- I don’t even think the quote is accurate- but the idea has remained with me, ever since. I think I saw the movie as a teenager. Anyway, there it is. My reality grounded in the shaky foundations of fiction. Recently I was asked by a writer friend about the switch and I told him: “You know how those American writers were moving to France in the 20s, 30s claiming to be in search of culture…?” Yes, that is the way I feel about this place. Cage’s character realizes his life is in the country eventually because of a woman, what else? This kind of disillusionment is the staple of art. But then they say art imitates life. So I live in Asokoro in miraculous circumstance. And no, I don’t have a senator in my family or a relation that is a member of another money-grubbing class. The truth is much less glamorous. However there is this uniformity in beauty that prevents the individual areas from standing out. It is boring, like a long tough marriage with a beautiful woman. It may be laughable but there is character in privation- the width and depth of the potholes, the cavernous gullies, trash-filled gutters, dirt roads etc lend a distinct quality to a place. The frequency of the holes in the Benin-Ore road tells the regular motorist that he/she cannot be any place else. Here, the bridges are the same, all roads are slick, and the squalour that produces originality is missing. Garki 2, Asokoro, Maitama have the same vegetation, same bridges. Plus there only few signs not obscured by a tree or shrub, like the planners figured everyone here is telepathic. It would help to walk as nothing gives a personal sense of geography as trekking; the old saw about walking so much ones shoes know the route to a place. But not in Abuja. It is not a land for pedestrians. If shame doesn’t kill you, a driver, high on the slickness of the roads would, especially on the tens of zebra crossings. So, you have to take a cab, there are places you can’t take a bus to. Coming from Benin where everyone is a bike person, this is strange. The bus drivers and conductors are not quite like the red-eyed ones in Lagos or garrulous like the ones in Benin. They actually have their own seats (I no dey carry overload! is a common refrain). I guess, give a man a seat and watch him transform. I have actually seen a good looking conductor with skinny jeans and a mohawk! I don’t think that image is possible in Ring road. As for the people, they live securely in huge houses. Where your only chance of fraternising is in Silverbird Galleria or Ceddi plaza where the fear of a 400 per scoop ice cream ought to prevent an average bloke from saying hi. A friend made a comment the other day about how a thousand bucks in your pocket made u king in Benin and in Abuja 15k means you are rather average. That statement is only a partial hyperbole. So what that means is there is this conspiracy to keep the rest of us where we belong- away from the ‘owners’. Hence, I’ve only met fellow immigrants, Benin, Benue, Akwa Ibom etc. The inhabitants I’ve met live in Kubwa, Karu, Mararaba, Nyanya etc, never mind I live in the city. It is one big refugee camp with offices in the city and tents in the camp so by day everyone looks alike from afar but ask them where they are going after 5pm. If you suspect a fib, call two hours after work, if they are stuck in traffic, then you know. For the authorities in the matter of roads, it is a case of quality above quantity or maybe no one really cares about refugees, from Asokoro to Wuse there are several routes but from Nyanya to the city there is a single one. Ditto Kubwa. So there is a horrific jam on these roads every morning and evening. But not to worry, the same authorities enforce 8:00 am resumption time and are unwilling to pay 18,000 as minimum wage. There are other status symbols; the most common is the accent. It ranges from American to British to Caribbean to a barely discernible concoction. Anything is fine as long as it becomes evident that you have spent time outside the country whether the travel is astral or physical is unimportant. A lot of people living elsewhere routinely point fingers at the Abuja inhabitants saying things like, “They are living a fake life.” I might add that they have a fake accent too. But I understand now, I mean I take cabs to places needn’t have to and I guess that is my own equivalent of pseudo-accent synthesis- of Rome and Romans. I am hoping I don’t get to the Nicolas Cage realization in Family Man, but I’d be lying if I say I don’t like the place despite the setting disillusionment. A la Teju Cole, it is my own open city. I have loved several songs about New York and it is unfortunate that Abuja has not been given a befitting song in the manner of rock band U2 and their New York- I am talking of City of Blinding Lights, the aptly titled New York with its solemn eponymous chorus (even if it says in New York you “lose your balance, lose your wife…”) and their song on The Gangs of New York soundtrack, The Hands That Built America. But reality hits hard. I am as close to the fantasy as I am to Peru. Abuja runs a caste system. The commoners move everywhere working or looking for work, while the privileged live in the centre enjoying the fanciful amenities available. The more fortunate ones live in the centre hoping to catch a glimpse of the elusive royal families. It hasn’t happened; there is no indication that it will. In the end, the rock songs often sing for the privileged only; and may capture the fantasies of the rest of us occasionally.